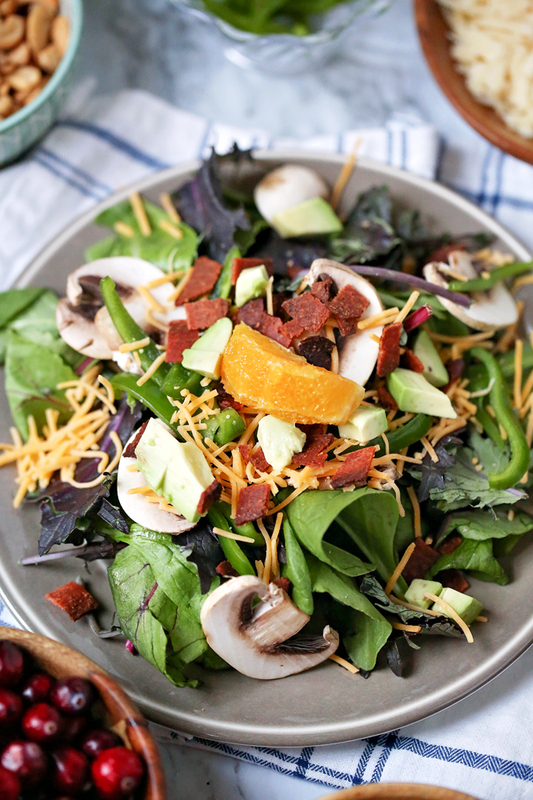 Making a delicious salad any time of day is easier than you think. 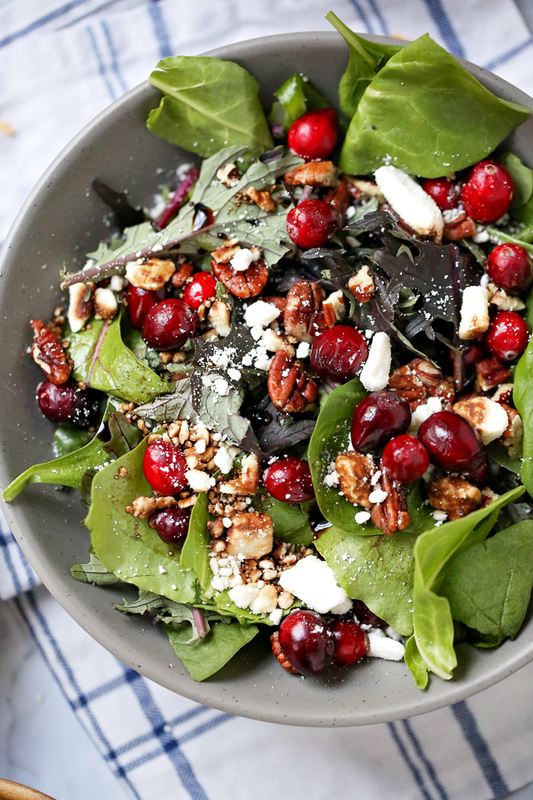 Check out these 3 easy salad recipes, Cranberry & Pecan, Hearty Veggie & Citrus, and our popular Power Salad, perfect for brightening up any meal. Lay out a bed of mixed greens. Sprinkle on cranberries, pecans, and feta cheese. Mix all ingredients except olive oil together in a lidded jar, then pour in oil. Cover jar, shake well and pour as needed. Store in the fridge for up to a week. 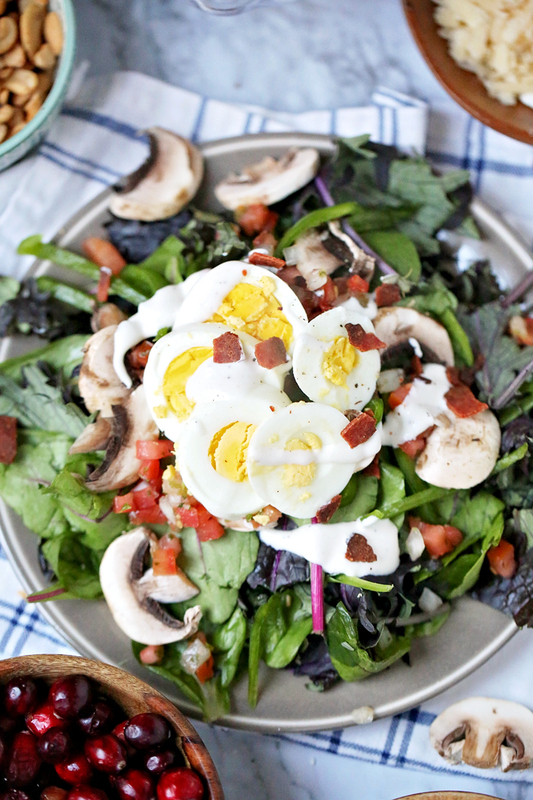 Start with a bed of mixed greens. Layer on bell pepper, mushrooms, pico, and top with a sliced boiled egg. Share these 3 easy salad recipes with family and friends by pinning the image below.